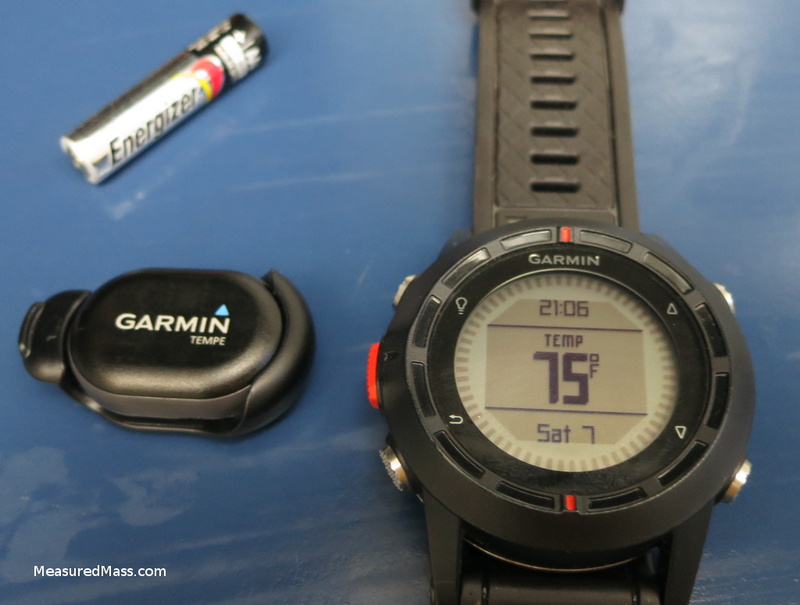 Well, I bought a Garmin Fenix watch, to be reviewed soon; but I was just as excited about the little wireless temperature sensor Garmin introduced at the same time. It’s an ANT+ temperature sensor built into the tiny Garmin footpod form factor. I’m looking forward to using this in winter, when temperature can be of avalanche interest in the field and back at home. First off, the weight: 9.5 grams, with battery. I haven’t yet found a Garmin specification, and I can’t begin to quote an uncertainty without at least two sample units. 9.5 grams is pretty darn light. I’ve built custom wireless temperature sensors for my job, and packing all of that, including the battery, into such a small mass is impressive. 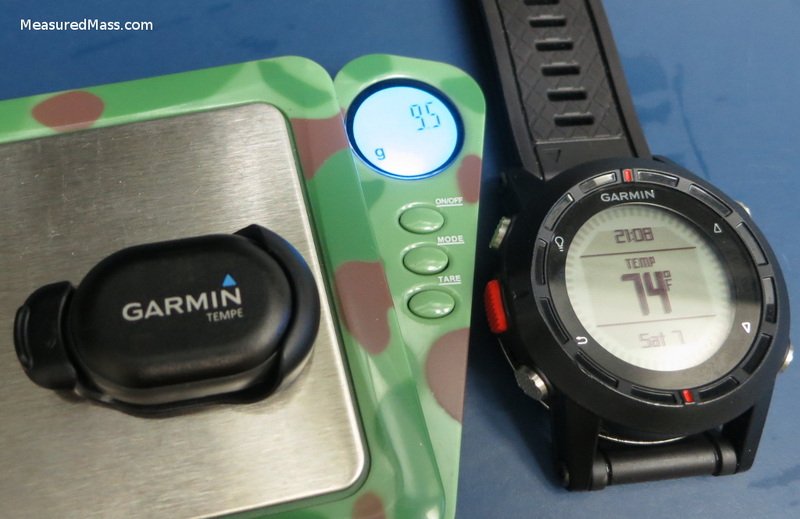 Garmin claims a one-year battery life. Transmission range is more than 15 feet in warm line-of-sight conditions. The clip attaches to itself with a firm snap; here’s hoping it stays on well. The battery compartment seals with an o-ring; long may it stay sealed. 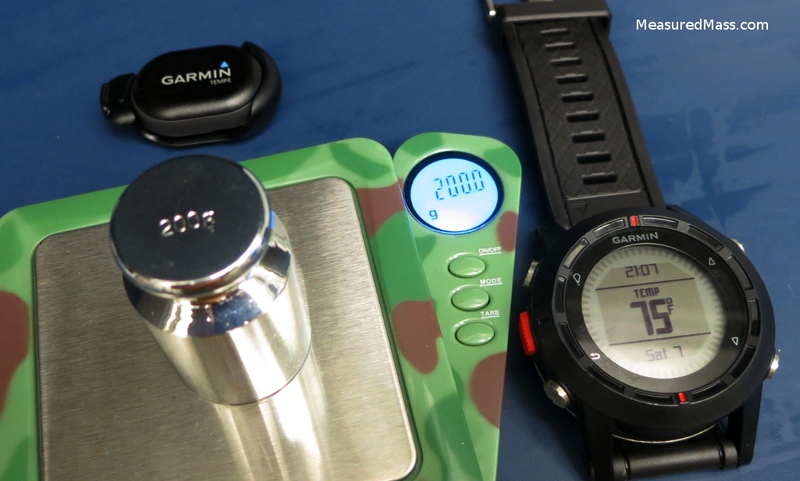 Pairing with the watch is easy; we’ll try pairing it with a Garmin 62 sometime in the future. Temperature updates seem to happen every minute or so, if you look at the GPX file, and about the same if you look at the watch display. That makes plenty of sense, as the effective time-constant of the Tempe’s body should be about a minute; there’s no point in going faster! What about calibration? Is it actually a good temperature sensor? Fortunately, there’s only one temperature that really matters to an outdoorsperson, and it’s also the only temperature that’s easy to check at home — the freezing point of water. One NSAS glass, some water, some smashed ice, and a puffy-jacket later, and we have a low-quality calibration standard. 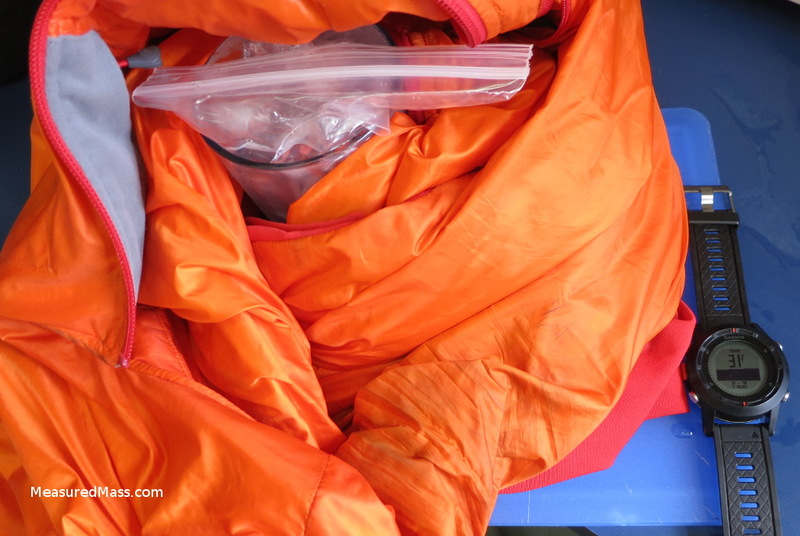 I tossed the Tempe into a ziploc bag, along with a metal weight, and immersed it. As you can see, the temperature came smoothly (the little plateau was the addition of more ice and swirling) down to what was claimed to be 0 C. The statistical scatter in the points is perhaps 0.5 C peak to peak. I feel reasonably confident believing the absolute calibration at the level of ±0.5 C , which is pretty good for a consumer device. To be more confident, I’d need a finer ice slush and more vigorous swirling (I didn’t want to soak the jacket !). These data were taken from the GPX file as read directly from the Fenix. Uploading to Garmin Connect and downloading again had rounded the values to integer-degrees C; a considerable degradation in precision. I don’t understand why Garmin would do such a thing, but then, I’m careful with original source data. The summary so far: It works, gets the job done, is lightweight, and appears to be calibrated properly at the most important temperature. Update: I’ve been taking the sensor on trips for six months now; it’s holding up well, still talks with the watch, and gets the job done. The clip works great, and hasn’t come off unexpectedly once despite being used on my daily walk-to-work pack for many months. I’ve had the occasional trouble with lost connectivity, but it’s still one of the best solutions I’m aware of for off-body temperature sensing in the outdoors. As you’d expect, the sensor warms up when sunlight hits it, as does your pack; it’s a fact of life for nearly all temperature-sensing systems. If you care very much about getting repeatable air-temperature readings, you’ll have to build a little environmental shield. For my intended use of documenting snowpack-related weather as I travel, the sunlight sensitivity is a reasonable proxy for the thermal energy that the snow is getting, too. It’s not a blessing nor a curse, it’s just reality. If you’d like to pick up one of these temperature sensors and simultaneously support this blog a little, here’s an Amazon link. Thanks! :). That’s a subtle question. If I can think of a reliable way to test it quickly on the watch, I’ll get back to you. If you’re asking about the Garmin-website rounding, that will be much easier to check. My default guess is that they do it correctly, but I don’t know without an experiment. The Tempe signal rounds correctly (see image). 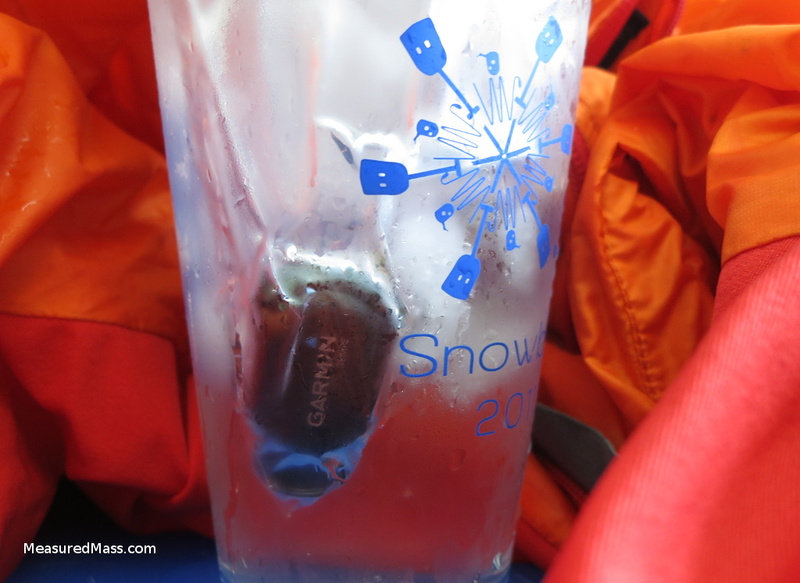 I’d caution doing anything quantitative with the sensor readings at sub-degree resolution; Garmin makes no promises about the accuracy of the temperature sensor, and some temperature-sensor chips are only good to ±1 or ±2 degrees absolute. If you need better resolution, consider switching to the Fahrenheit scale on the watch. The numbers will be unfamiliar, but 1F = 0.56 C, so you’ll be less-affected by any resolution or rounding concerns. Your English is great – far better than my second language. Good luck! Thanks “measured” (red color) is gpx or other thermometer ? GPX, as grabbed from the “Current” file in the GPX directory on-board the Fenix. 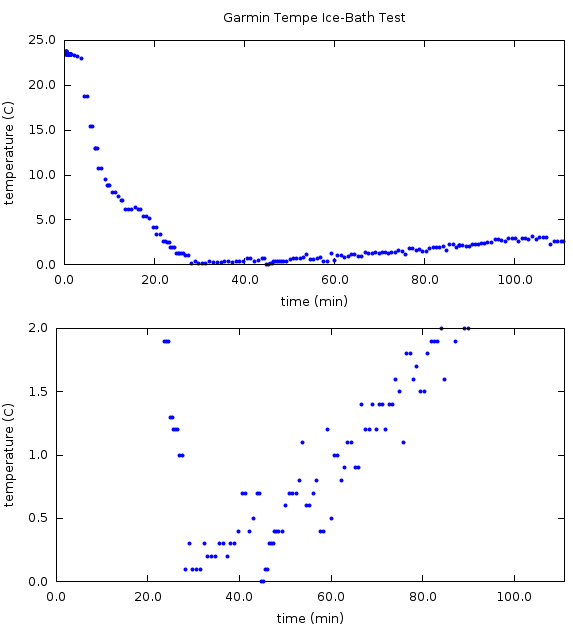 I hope I have understood correctly, sensor measures an interval of 0.3 ° C. Display: round up if > X.5, truncate if < X.5 ? I agree that it rounds up above *.5 and rounds down below *.5 . Handling rounding on the *.5 point is always a topic for discussion. They may be using “banker’s rounding”, where you “round half to even”; I don’t have enough data to tell. The statistical noise is big enough to make such concerns largely irrelevant anyway.